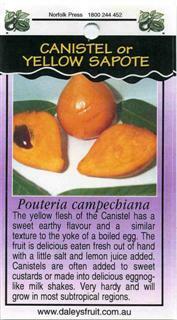 The yellow flesh of the Canistel has a sweet earthy flavour and a similar texture to the yoke of a boiled egg. 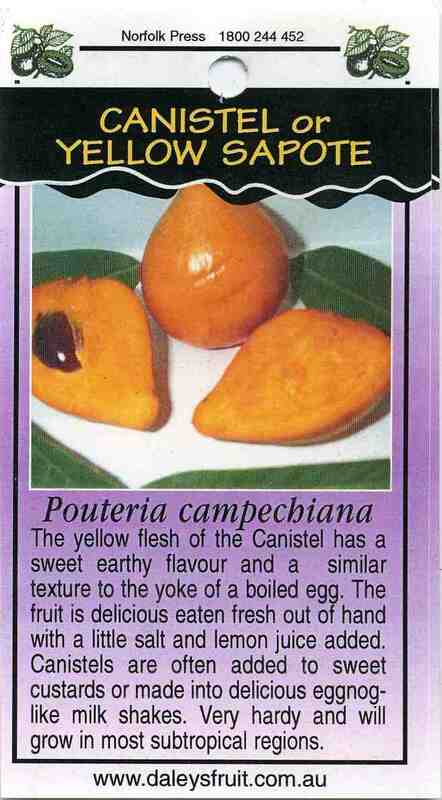 The fruit is delicious eaten fresh out of hand with a little salt and lemon juice added. Canistels are often added to sweet custards or made into delicious eggnog like milk shakes. Very hardy and will grow in most subtropical regions.